petition: Tell Disney You Don't Want A Whitewashed Mulan! Tell Disney You Don't Want A Whitewashed Mulan! Whitewashing, the practice of casting white Caucasian actors and actresses in roles originally meant to be characters of color, is all too common in Hollywood. The Last Airbender, Pan, the upcoming Ghost in the Shell adaptation, and many, many others have demonstrated this problem. Some whitewashed only the main cast members, leaving them inexplicably the only Caucasians among populations (including supposed blood relatives), while others hired white extras as well except possibly a token POC. 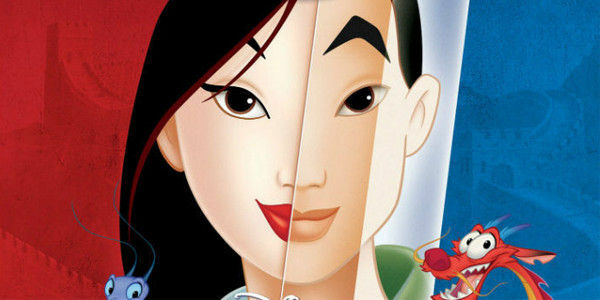 Disney just announced it will develop a live-action Mulan film. Take a stand against whitewashing in our media. Sign this petition to tell Disney that we demand to see them cast an Asian Mulan! Mulan was based on a Chinese legend, the story of Fa/Hua Mu Lan, in which a young girl disguises herself as a man to serve as a soldier in the battle against an invasion launched by the Huns. The character, story, and fans deserve the best retelling of the story Disney can produce, and although the film was only announced March 30th, this disturbing trend of whitewashing in big-budget movies can't get a chance to take root in Mulan as well, and if any company can afford to 'risk' adapting a beloved story with a cast of POCs, it's Disney. Another example of whitewashing in Hollywood is when heroes are portrayed by white actors while villains are characters of color. Casting a Caucasian actor as a character of color, regardless of reason ("Oh, we just want a big name attached to this movie", "Western audiences won't watch a movie about Asian people", etc) has a direct, harmful impact on not only the movie itself, but the audience, as well as POC members of the acting community. Often, the casting of non-POCs in POC roles can be confusing in both appearance (in TLA, two of the main characters were white siblings in a tribe played otherwise entirely by Inuit actors), plot, and general feel of a movie's authenticity. For the audience, whitewashing implies that POCs cannot be heroes (although they may at times be villains or supporting characters), leaving it far more difficult for countless children around the world to see themselves in the stories they love and think that they, too, can make a difference. Children benefit from finding themselves represented in fiction, which is part of why campaigns such as #weneeddiversebooks are so vital. It also perpetuates a standard of beauty and goodness wherein whites are considered the ideal and norm despite that not only are Americans diverse, but the entire world is. As for the acting community, keeping diverse actors out of what should be diverse roles severely limits the number of roles they can get, especially a potentially name-making role such as Mulan's eponymous character would surely be. Take a stand against whitewashing in our media. Sign this petition to tell Disney that we demand to see them cast an Asian Mulan!